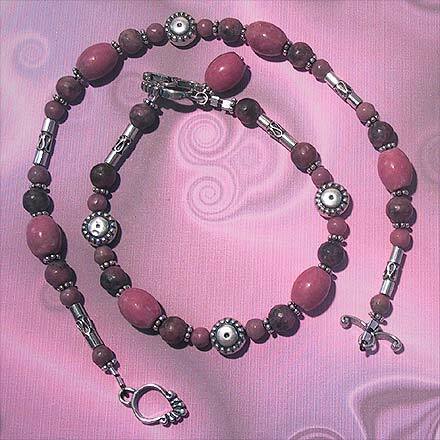 Sterling Silver Rhodonite Anklet (outer) and Bracelet (inner). The large beads in the earrings and 18¾" necklace have an interesting black vining pattern, resembling branches against a pink sky. The pendant is 1½", the bracelet is 7¾", and the matching anklet is 9.6".